Fatigue is without a doubt one of the most common and disabling symptoms in people with Sjogren’s syndrome. This observation was well documented in a quality of life survey conducted five years ago by Dr. Evelyn Bromet, epidemiologist and member of the SSF Board of Directors. Questionnaires were sent to all members of the SSF and more than 3300 people responded. 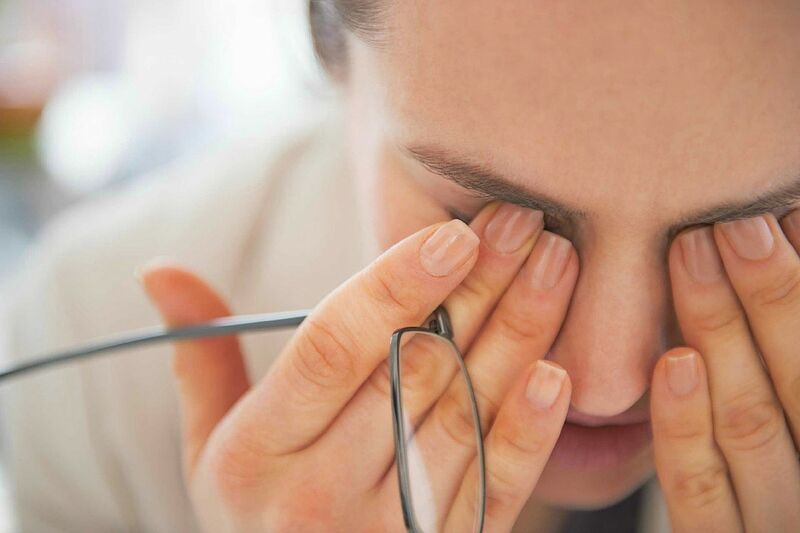 The adherents ranked fatigue as the third most troublesome symptom after dry eyes and dry mouth. Skin dryness, musculoskeletal pain and poor sleep were also included in this list. This article will review the main causes of fatigue I in Sjogren’s syndrome as well as the diagnostic approach and treatments. The survey mentioned above also indicated that the majority of patients with Sjögren’s Syndrome are poor sleepers and this may contribute to fatigue. Symptoms can include difficulty getting to sleep, staying asleep or just waking up most of the time feeling tired but not really aware of having a sleep problem (due to non-restful sleep). In Sjögren’s syndrome, sleep abnormalities may be the consequence of the disease itself or may be related to the side effects of the treatment. Causes of poor sleep include dry eyes, dry mouth, arthritis pain, poor sleep habits, or pain due to concomitant fibromyalgia. Frequent use of corticosteroids can also lead to insomnia. One study also suggested an increased incidence of restless legs syndrome in patients with Sjogren’s syndrome compared to other groups. This syndrome is characterized by involuntary movements of the arms or legs during sleep and can be difficult to recognize if you sleep alone. It can however be identified by performing a sleep analysis. Logically, the treatment of sleep disturbances in Sjogren’s syndrome must be adapted to each person. Everyone should be encouraged to acquire good “sleep hygiene”, that is, correct sleep habits. For ocular discomfort at night, eye lubricants last longer than artificial tears and provide better relief. Regular use of secretagogues such as pilocarpine (Salagen) or cevimeline (Evoxac), a dose before bedtime, will reduce the need for fluids during the day and the sleep disturbance associated with the need to drink and urinate. the night. Low doses of clonazepan (Klonopin, valium) or carbidopa / levodopa (Sine met) can effectively treat restless legs syndrome. Do: try to exercise regularly, at least 20 minutes a day. Do: create a dark, cool and quiet environment for sleeping. Do: Take a hot bath to relax aching muscles or stress at bedtime. Do not do: nap during the day. Do not: take caffeine within 6 hours of bedtime. Do not: Drink alcohol or smoke within 2 hours of bedtime. Do not do: exercise just before bedtime. Do not go to bed hungry or work in your room. The second part of “Fatigue in Sjögren’s Syndrome” will deal with depression, medication side effects, hypothyroidism, muscle weakness, and will also present some new approaches to combat fatigue. Depression can complicate all chronic conditions, including Sjogren’s syndrome, and can sometimes explain fatigue, pain, recent weight changes, headaches, or other symptoms, when no other reason is apparent. Studies have shown that the presence of two or more of the main symptoms is strongly correlated with the diagnosis of depression. A global therapeutic management of the depressive syndrome is to associate the treatment of the underlying disease, the psychological help, the adhesion to a group of support, the regular exercise and the use of medicines. St. John’s Wort can help fight depression, but it can also worsen dry mouth in patients with Sjogren’s syndrome. Hypothyroidism (insufficient functioning of the thyroid) is common in people with Sjogren’s syndrome. It is due to a variety of causes, including a type of autoimmune thyroid disease called Hashimoto’s thyroiditis. Since a normal production of thyroid hormones is essential for many functions of the body, a deficiency of thyroid hormone production can lead to the association of the following signs and symptoms: fatigue, dry skin, rough hair constipation, puffy eyes, slow heartbeat, abnormal tendon reflexes, pain or swelling of the joints, pain and muscle weakness. A blood test showing a high TSH and a normal or low free T 4 and in favor of this diagnosis. A thyroid hormone pill replacement therapy, or thyroid animal supplement, usually corrects the symptoms within three months. Since the body’s needs for thyroid hormones may vary over time, thyroid function must be controlled every six months. Regardless of the cause, the usual means, which help almost all patients to fight fatigue, include stress reduction, learning relaxation techniques, caring for the rest of the day, regular Aerobic exercise (such as walking or swimming) and organizing your daily life. Dehydroepiandrosterone (DHEA) is a male hormone analogue that appears to reduce fatigue in some patients with lupus. Modafinil, an FDA-approved drug for narcolepsy, has recently been shown to reduce fatigue in people with multiple sclerosis. Patients with Sjögren’s syndrome may also benefit from these active ingredients, but further research is needed to determine their effectiveness in this disease. When we consider the problem of fatigue in Sjogren’s syndrome, it is obvious that this symptom is frequent and of multifactorial origin. Thus, a given patient can have several causes explaining his fatigue. A full diagnostic assessment is therefore needed to identify the main cause (s) of this fatigue. It may take months to solve this problem, but it is well worth the time and effort of the doctor and the patient because fatigue is one of the most common and disabling symptoms in Sjögren. Next article Do You Want to Restore Your Smile?